Love bread? Love garlic? Oh good, me too. I think we'll get along fine. I love that there is just one rising step in this recipe, making these speedy to whip up before dinner. In large mixing bowl, add water, oil, honey, and yeast; mix to combine and let sit for 5 to 10 minutes or until yeast starts to foam. Add flour, basil and salt. Using the dough hook on a stand mixer, knead the dough for about 5 minutes. The dough should form a ball and "clean" the sides of the bowl. If the dough is too sticky, add more flour, one tablespoon at a time. Turn the dough on to a lightly floured surface and divide into 18 portions*. Roll each portion into a ball and then make a rope about 9" long. Place the ropes on baking sheets lined with parchment paper or silicone baking sheets; cover with a clean towel and let rise in a warm area for about 40 minutes or until double in size. Sprinkle breadsticks with parmesan and bake in a 350 degree F. oven for 18-22 minutes or until golden brown. Combine the butter and the garlic powder and brush on warm breadsticks. *I froze half my dough for later. **Leftover breadsticks reheat well in a warm (250 degrees F) oven for 10 minutes. 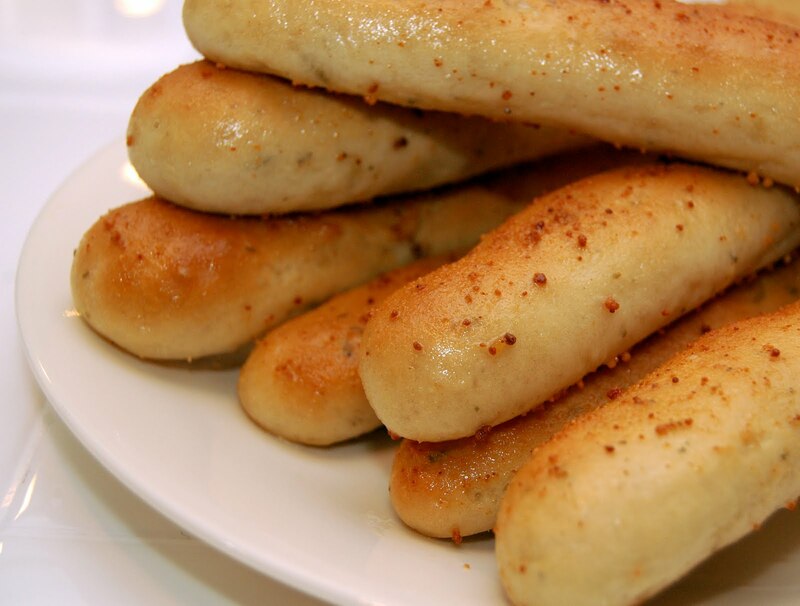 your garlic breadsticks are making me hungry...hmmm doesn't seem too difficult to make too. Lovely blog! And thanks for visiting mine. God bless you! These look delish! I am going to try them soon!!! These look SO YUMMY!!! Spotted the pic on Tasty Tuesdays and couldn't resist popping over! :) Thanks for sharing your recipe! 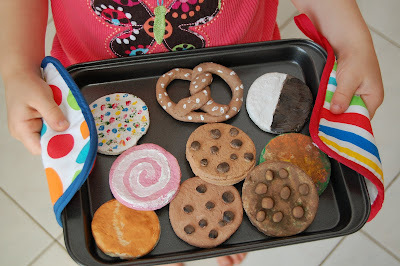 wow reading these blogs from tasty tuesday really has me wishing I were good at cooking! Found you on FTLOB! Hope you will check out ours! We love to do Italian night and turn up the Dean Martin love song CD to drive the children crazy - your bread sticks look like the perfect go-along! Thanks for sharing the recipe! I'll give it a try Saturday with stuffed shells. 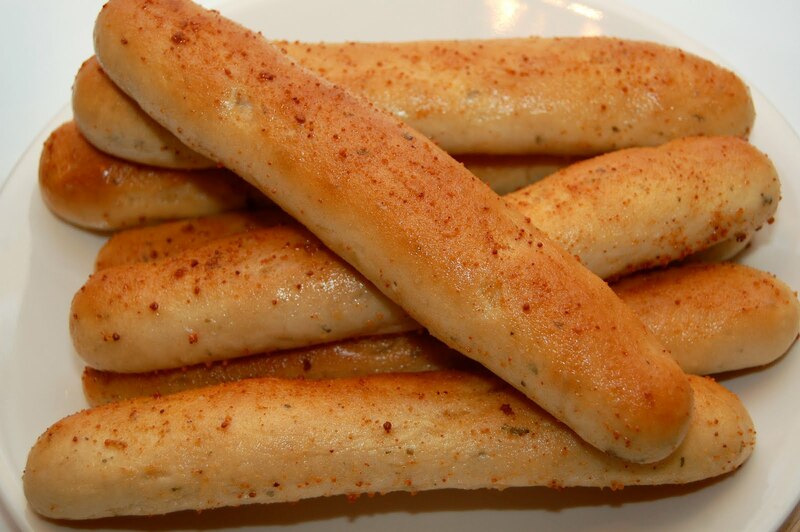 I have tried many bread and roll recipes over the years, but these breadsticks are the best I have ever eaten. Light as air, tender and delicious. I followed the recipe exactly as written and the dough was perfect and easy to work with. My family devoured them. Give this recipe a try and you will not be disappointed. So glad you liked them, AnnaLee!